Our week in review’s give you a brief overview at our weekly scam news articles which helps to keep you alert and aware of all the latest scam trends! As usual we have placed links to the full articles below and encourage you to delete these emails from your mailbox if received. 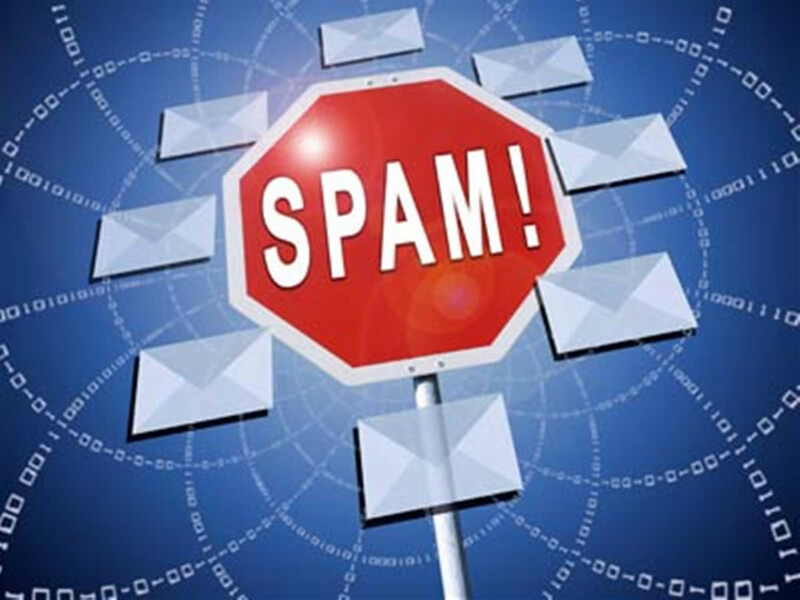 An email targeting dating website Anastasia Date has been caught by spam filters and should be deleted immediately. Russian women seem to be pushed a lot in these types of scams. Delete this email if received because at the very least, it scores so highly on multiple spammers lists and at most, may result in a malware infection. This email is clearly unwanted by the recipient. One of the most dangerous emails caught by MailShark spam filters of late is this courier delivery ransomware scam, which will lock your computer until a ransom is received. 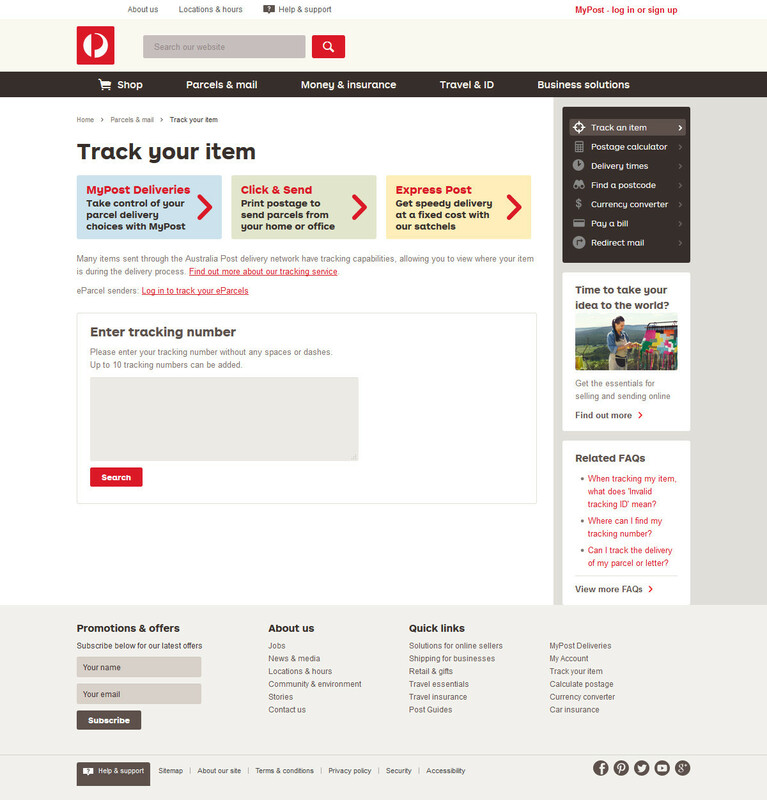 It hides itself as a delivery notification from Australia Post and even leads you to a similar looking website. Clicking anywhere on the website will lead to the ransomware infecting your computer and its files. 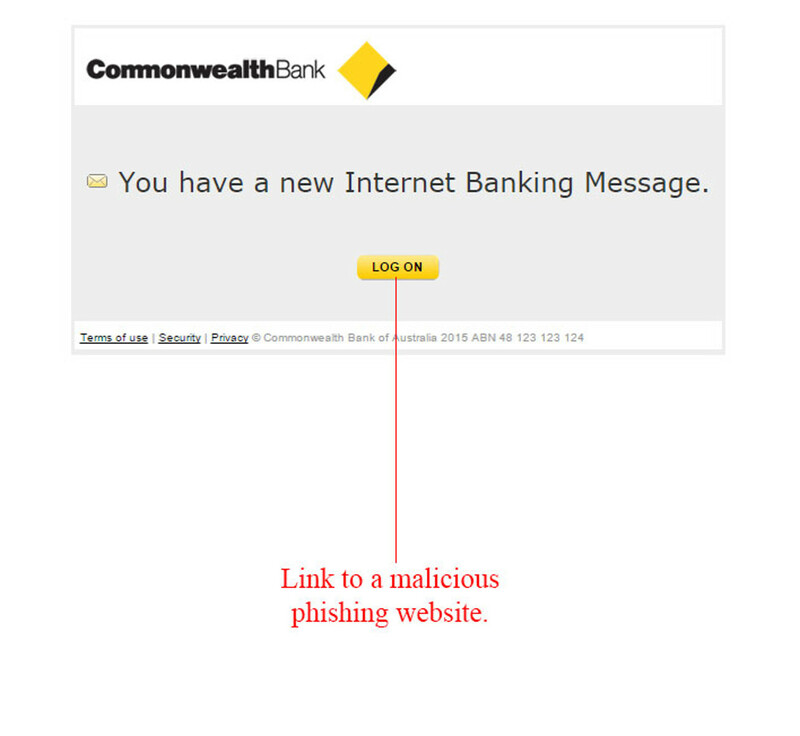 The Commonwealth Bank is commonly targeted with phishing email scams and this one is no different. It reaches inboxes as a message notification email and leads you to a well duped Netbank log in portal, which, if logged onto will lead to your data being stored and shared. Delete this email and do not click anywhere within it! Where in the world did the bulk of these Emails come from? Check out our Global Spam Sources page, for a World map of spam sources. 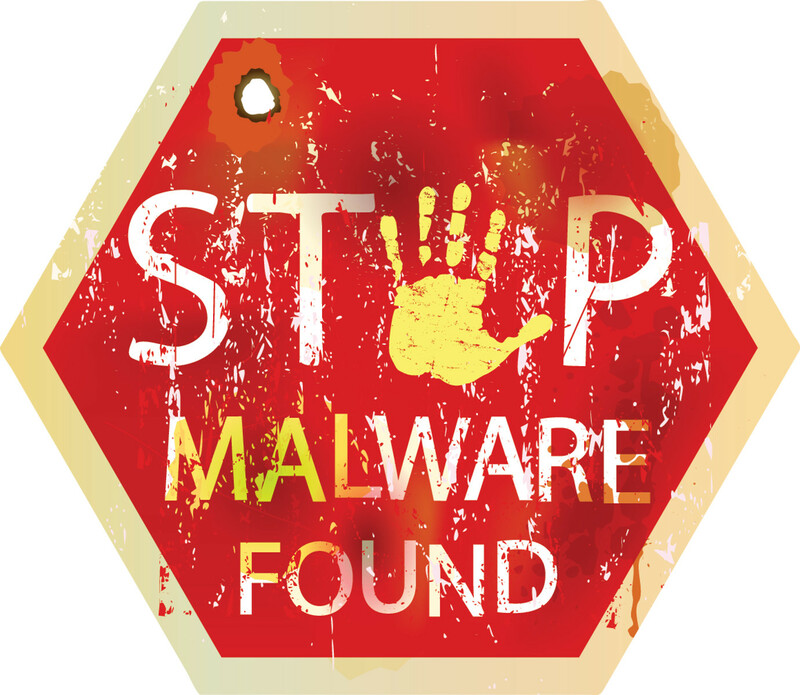 MailShark has started tracking Global Spam Sources for Spam, Scam, Malware and Phishing Emails captured by our Email filters. Relevant placemarks have been included for each of the sources within the Global Map found under the “News” section of the website. As this information is built up over time, we hope it can become useful and insightful for analysts and the general public alike. 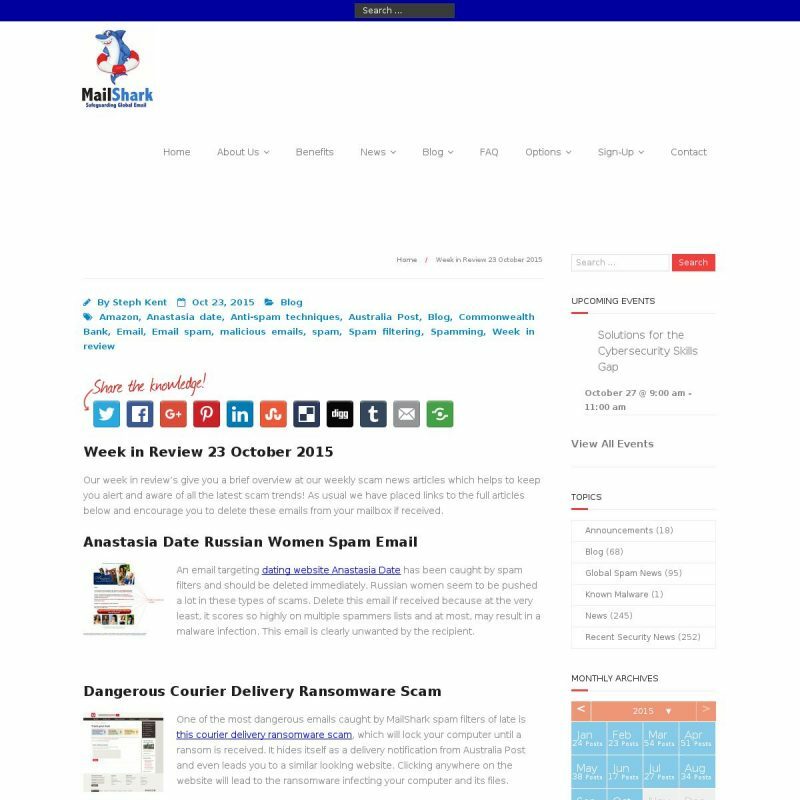 MailShark has added a Global Events Calendar to help keep track of, and keep informed with, the major Internet and Email Security Events around the globe. It’s our hope that this section can also prove useful to the Internet Security Industry and the general public alike. 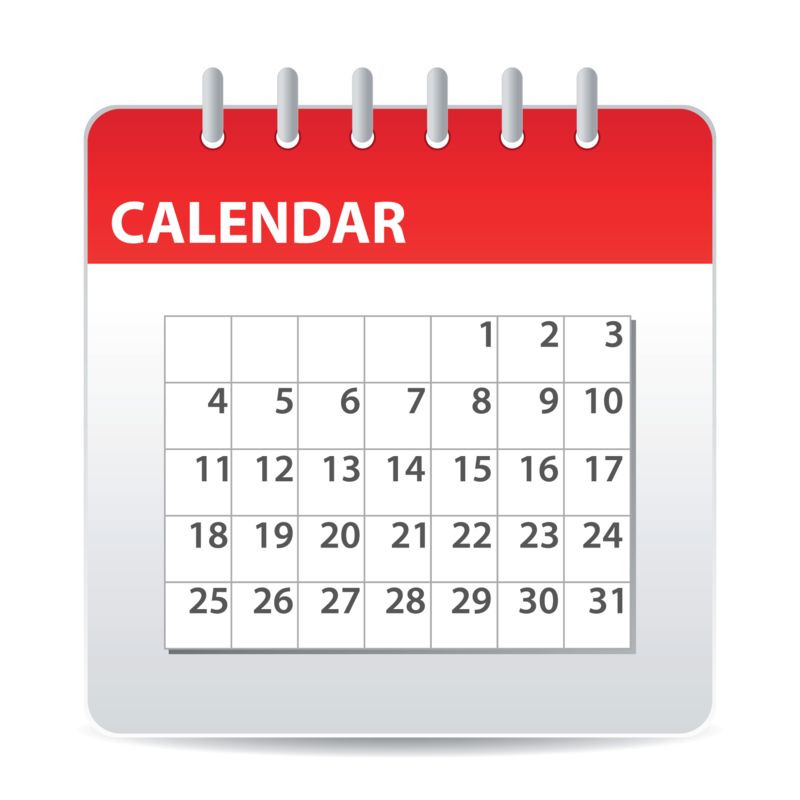 If you know of events which should be added to the calendar, please use the contact form to let us know.